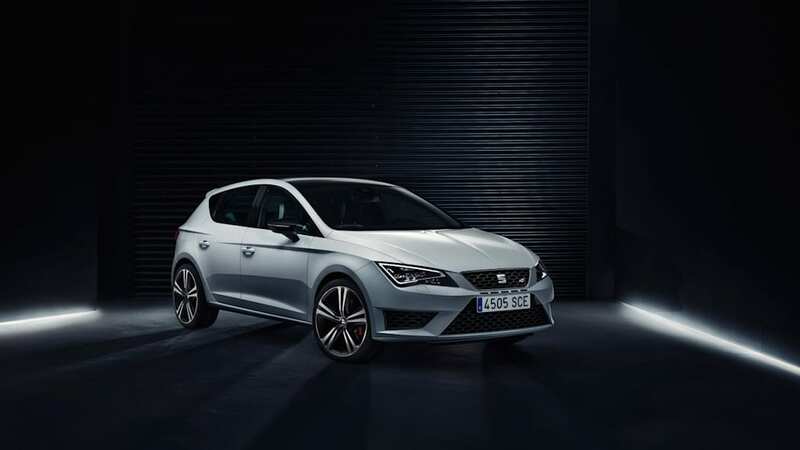 Or Leon Cupras, we should say, because Seat's new flagship hot hatch is coming in two flavors, and the stronger of the two arrives as the most powerful production car Seat has ever made. Set to be unveiled at the Geneva Motor Show come March, the new Cupra is powered by Volkswagen's trusty and potent 2.0-liter TSI turbo four, available in two states of tune: 261 horsepower or 276. Either way, that favorably bridges the gap between its German counterparts, the GTI and Golf R.
European buyers will also be able to choose between three- and five-door body styles, and either a six-speed manual or dual-clutch gearbox, but whichever model you choose, you're looking at a 0-62 run of less than six seconds (as low as 5.7 in the right spec) and a top speed capped at 155 miles per hour. Which makes us want one, but we'll be happy enough to get the new VW Golf R, which shares its underpinnings and many of its specs with the Leon but offers more power. Scope out the full details in the press release below and the gallery of high-resolution images above. 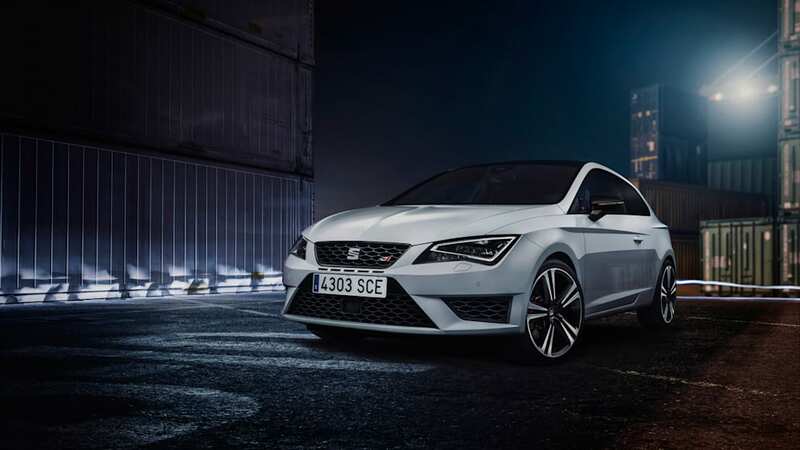 Every Leon Cupra completes the benchmark 0-62 mph sprint in less than six seconds, while all manual versions return exceptional 44.1 mpg average fuel consumption. But the Leon Cupra is a car whose development was led by the pursuit of dynamic excellence. To that end, every Leon Cupra comes as standard with a mechanical front axle differential lock, a progressive steering system that sharpens the turn-in for improved agility, DCC dynamic chassis control to alter the suspension settings between sportier or more comfort-oriented, and two-stage deactivation of the electronic stability control (ESC) – including the ability to turn it off entirely. 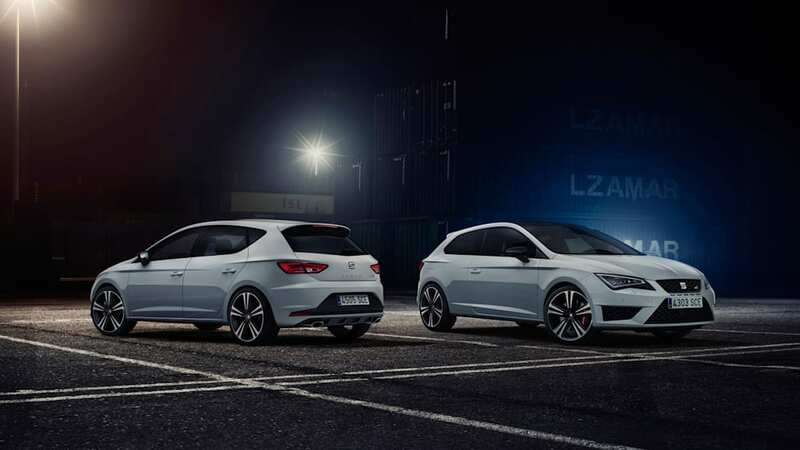 These are on top of fundamental changes compared to the previous Leon Cupra: the new Leon is built on an all-new chassis, with a wider front track and fully independent suspension front and rear. "The new Leon Cupra is pure SEAT: emotion and performance, design and dynamics combine to deliver driving fun mile after mile. State-of-the-art technology is evident in its enormous precision, but also in its compelling efficiency," stresses Dr. Matthias Rabe, Vice President of SEAT S.A. for Research and Development. "The new Cupra is a sports car for every day; it feels just as much at home on the race track as it does on the long haul." 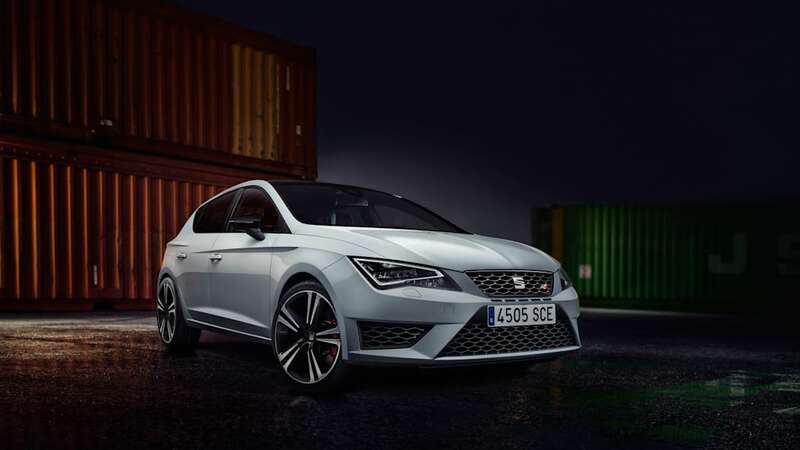 The Leon Cupra models embody the SEAT brand values in the best possible way. They combine exhilarating dynamics, state-of-the-art technology, stunning design, premium quality, outstanding efficiency and excellent everyday usability. 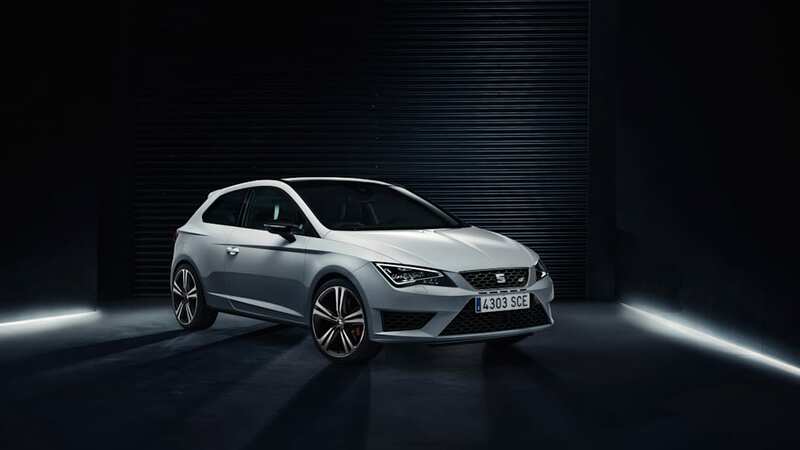 "With the new Leon Cupra, the SEAT brand is once more taking a major leap forward. 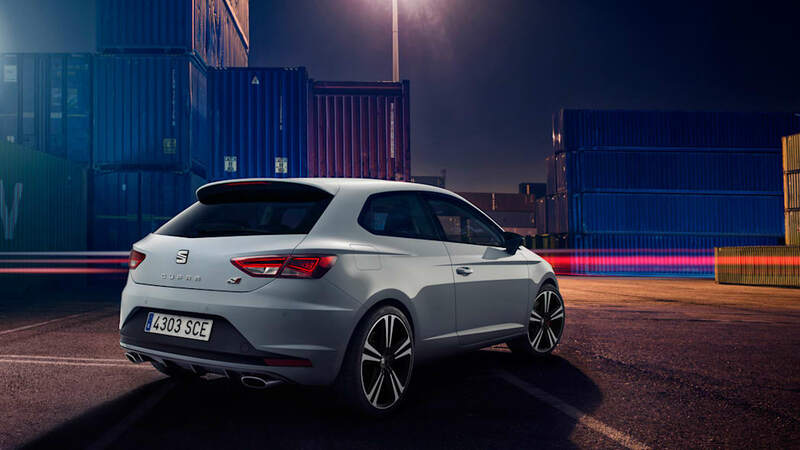 The Cupra is a refined, high-performance car that combines its expressive dynamics with relaxed long-distance comfort and a compelling, high-quality feel," says Jürgen Stackmann, CEO of SEAT S.A. "Driving fun and great design comes with every Leon, but the new Cupra displays SEAT expertise in a whole new dimension. We are proud of this new brand icon and certain of its success." 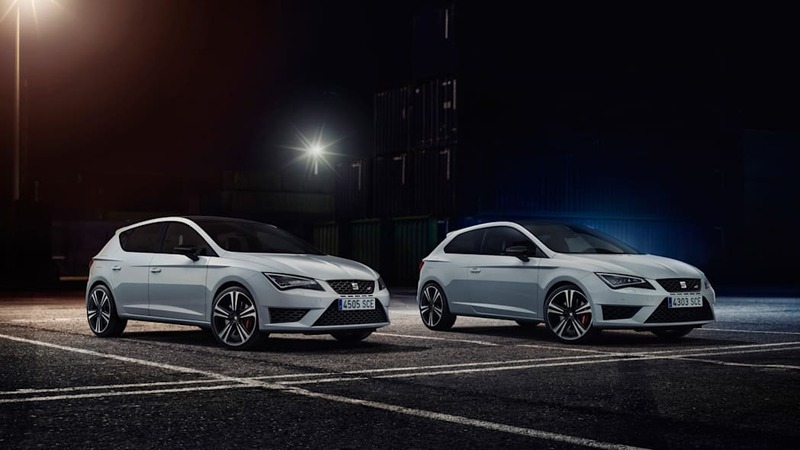 Cupra stands for power, performance and dynamics – and the new Leon Cupra and Cupra 280 have all those qualities in abundance. The Cupra 280, with optional DSG transmission, catapults from zero to 62 mph in just 5.7 seconds, or 5.8 seconds with the six-speed manual gearbox equipped; every Cupra model has a 155 mph limited top speed. The 350 Nm maximum torque of both versions spreads from just 1,750 rpm all the way up to 5,300 rpm, guaranteeing impressive pulling power and overtaking flexibility. Against this, the new Leon Cupra is astonishingly efficient. The average fuel consumption for both power variants is just 44.1 mpg with a manual gearbox equipped, and 42.2 mpg with DSG. This equates to CO2 figures of just 149 g/km and 155 g/km; by comparison the second generation Leon Cupra R with 265 PS emitted 190 g/km CO2. As a true sports engine, the 2.0 TSI turbo petrol unit of the Leon Cupra and Cupra 280 reacts spontaneously to every movement of the accelerator pedal and is wonderfully high revving. This is paired with a rich and refined sound that is aided and modulated by a standard sound actuator. The all-new power unit, with its exceptionally responsive turbocharger, is packed with hi-tech and ground-breaking features. The dual-injection system, for example, combines direct injection with manifold injection under partial load, which optimises fuel economy and reduces particulate emissions. Cylinder fill is always in the optimum range: the camshafts are adjustable, with the valve lift system regulating opening on the exhaust side. The exhaust manifold is integrated into the cylinder head and is part of the intelligent thermal management system. In addition, a new kind of coating on the aluminium pistons and the bearings keeps friction to a minimum. The key fundamentals of the dynamics are low weight and a stiff structure. 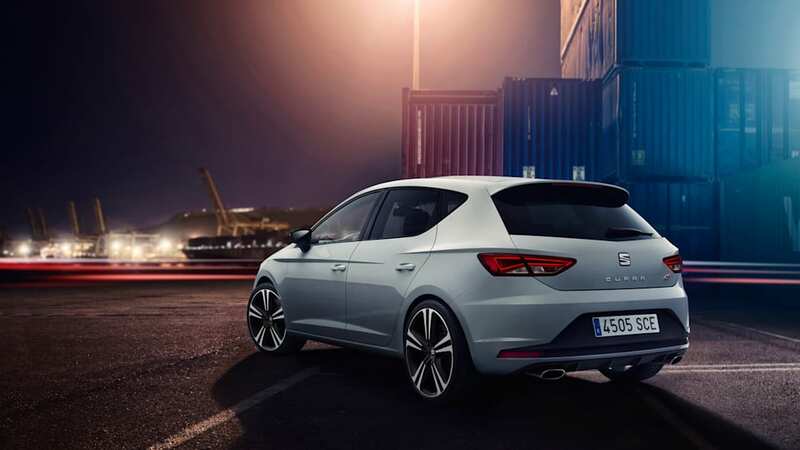 The systematic lightweight design of the new Leon family is evident in the Cupra: despite considerably improved equipment, the new generation weighs 55 kg less than its comparable predecessor. The Cupra name has always been synonymous with outstanding dynamics, precise agility and amazing sporting character. In every way, the new Leon Cupra manages to set the bar a good deal higher than any of its predecessors. 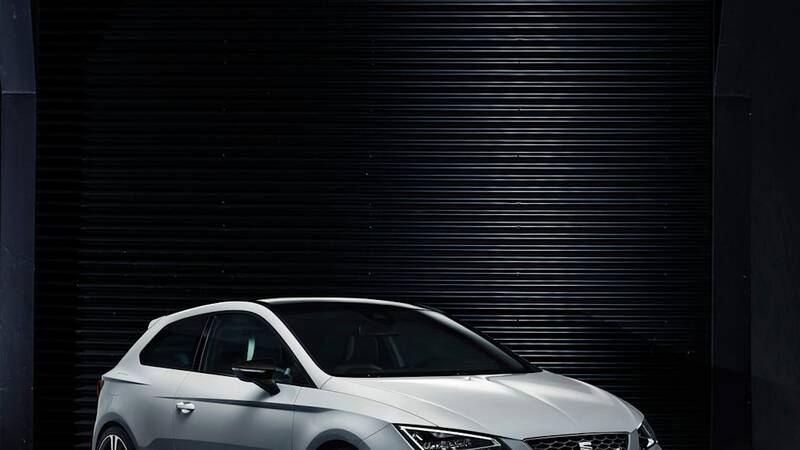 With DCC dynamic chassis control, a front-axle differential lock and progressive steering all fitted as standard, the new Leon Cupra achieves considerably faster laps on the track than its already impressive predecessor. The new generation of the DCC dynamic chassis control developed specifically for the Cupra is even more sensitive than that available with the Leon FR, adapting the chassis characteristics to the prevailing conditions in a matter of milliseconds. The new front-axle differential lock significantly improves the traction and handling of this front-wheel drive car. The system uses a multi-plate package that is hydraulically actuated and electronically controlled. The maximum locking force is 1,600 Nm and, in extreme cases, 100% of the drive can be sent to one wheel. The differential lock is integrated into all the handling systems, like ESC and EDS. It improves not only the traction, but also eliminates torque steer. Furthermore, its sensitive control has no negative impact on steering feel. Also included as standard equipment, the progressive steering system improves the agile handling of the new Leon Cupra. The driver experiences a precise and relaxed steering feel because less steering movement is required, which reduces the number of grip changes, especially in cornering or parking manoeuvres. The system works using a progressive ratio through variable toothing on the rack. 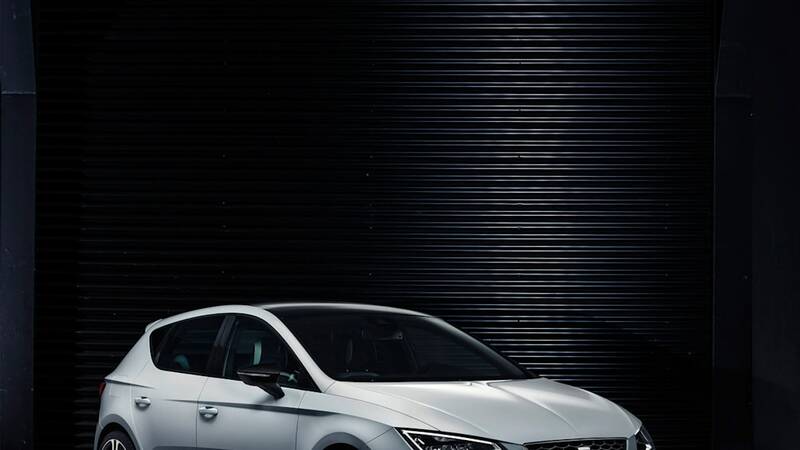 The Cupra Drive Profile enables the characteristics of the new Leon Cupra to be adapted across a very wide range to meet the individual preferences of the driver. Alongside the Comfort and Sport modes, the Cupra mode was a focal point for the engineers in Martorell. Throttle response is particularly sensitive in this setting, while the DSG operates in its sportiest shifting mode and the sound actuator accentuates the full tone of the turbocharged engine. DCC dynamic chassis control, progressive steering and the front-axle differential lock also operate at their sportiest settings. Emotional design is a great strength of the Leon family. For the new Cupra, this has been developed one step further. The new front end, with its large air intakes and full-LED headlamps, ensures a powerful look, as does the rear skirt with its diffuser effect and the two oval end pipes. The alloy wheels are exclusive to the Cupra, while the red brake callipers and tinted side and rear windows underscore its individuality. 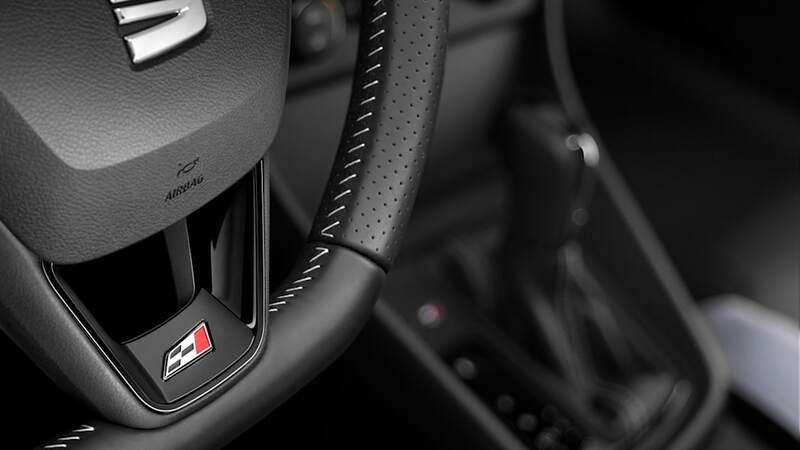 The focus of the interior is on the Cupra sports steering wheel in its own unique design, complete with shifting paddles for the optional DSG transmission. The sports seats, in dark grey Alcantara finished with white stitching, are another interior highlight. Black full-leather upholstery, likewise with white stitching, is also available. The pedals and entry sills are made from aluminium. The Cupra 280 is visually differentiated by its unique 19-inch wheels with a titanium paint finish, plus the Aerodynamic Pack, which comprises a spoiler on the rear roof edge, Cupra lettering on the brake callipers and black exterior mirror housings. The trim elements in the cockpit of this top sporty variant are a deep glossy black. In the UK, additional standard equipment for the Leon Cupra over and above the FR model (and the aforementioned styling details) includes 18-inch alloy wheels, full-LED headlights, DAB digital radio, SEAT Media System Plus, aluminium front door sill trims with Cupra logo, rain-sensing wipers and automatic headlights. The Cupra 280 is distinguishable by its standard 19-inch alloy wheels, gloss black mirror caps, black exterior mouldings and frames, black rear roof spoiler, red brake callipers with Cupra logo, and black interior inserts. Satellite navigation comes as standard with the Cupra 280, too.